Next up on our tour was the famous colonial city of Shanghai. We knew it was a ultra modern city and recently featured in films such as Transformers and Skyfall. We took a bullet train from Suzhou to Shanghai and arrived late morning. After traversing the colossal train station (bigger than most U.K. airports) we checked in and went for a walk with our guide around Shanghai. We had taken the metro from the train station so hadn’t seen any of the skyline as of yet. Rounding a corner the distinctive buildings came into view as we stood on a bridge over a tributary of the main river. 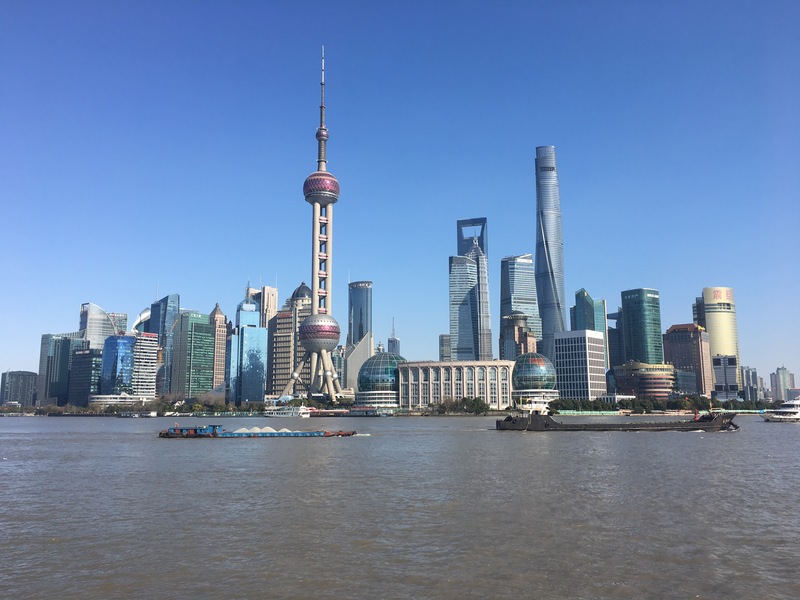 The Shanghai Tower (the worlds second tallest) and the Oriental Pearl Tower among many many others looked majestic and sparkled in the sunlight. Our guide took us along the Bund (the esplanade along the water) as we gazed at the buildings in the other side of the water. One looked like a bottle opener (Shanghai World Financial Centre) and another a bit like the Chrysler building in New York (Jin Mao Tower). He explained Shanghai’s history and how it developed into the city it is today. We then walked through an old colonial district and back towards the hotel. In the evening we went for dinner to say goodbye to some of our group who were leaving us on this leg. Our guide Howard then took us to a club run by his friend ‘Gordan’ (Chinese like to choose a western name as well as their Chinese one). The Light Club turned out to be an insane club. We were given free drinks all night- our table littered with vodka, rum, gin and tequila litre bottles as well as coke and spirits in huge vases and bar nibbles which were constantly topped up. The music was loud and the DJ excellent. Around 11pm dancers started and the club came even more alive. A stage rose out of the floor and routines to modern western hits were strutted. We would of stayed longer had one of our fellow travellers not got kicked out. The following day we rose late and explored more of the city. In the evening we explored the French Quarter which was mainly luxury shops and walked our way through the bustling city at night. 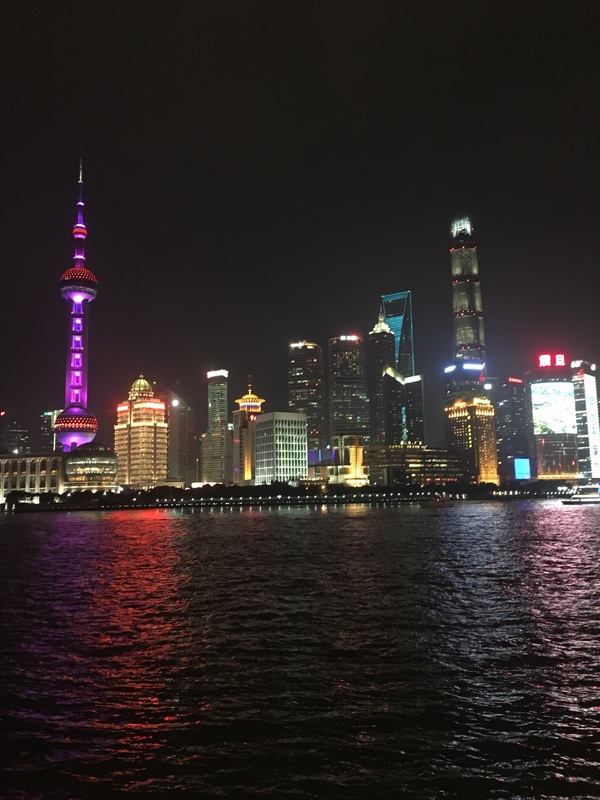 Shanghai really comes alive at night and the city looks even more spectacular lit up. The buildings mentioned earlier and all the ones I didn’t all light up and change colour as well as displaying huge messages like giant Piccadilly Circus billboards. We flew the drone in a quite park and took some snaps of the city at night. 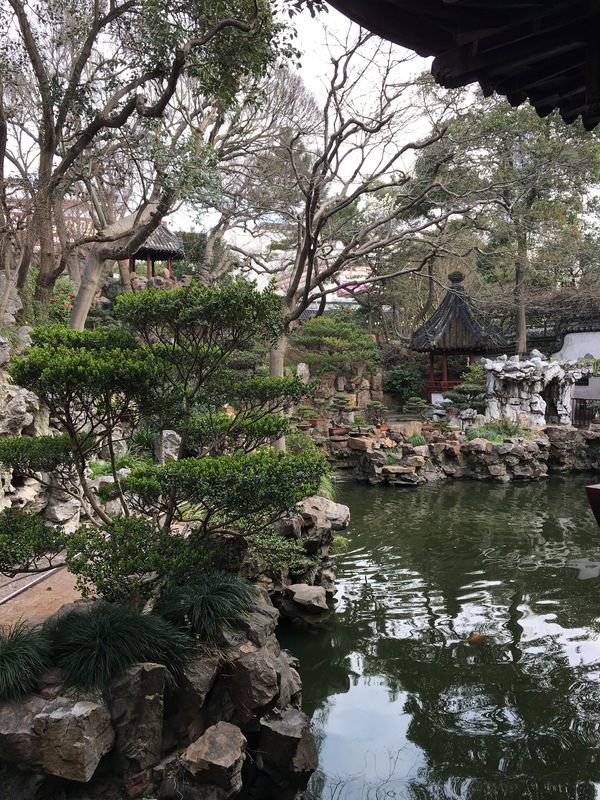 On our last day in Shanghai we rose early and met our guide who took us on a tour of another traditional Chinese garden. This one however was far more impressive: larger and had more interesting features. Dragons on roofs, unusual shapes door ways and giant carp and turtles swimming through the many ponds. As we walked back through parks and squares many Chinese were doing there morning tai chi. We arrived back at the hotel and packed for our bullet train in the afternoon into the countryside. We passed back through the airport like train station, and boarded a train to Wuyi mountain.